Virginia Paige Gibbs is 4 years old, and she is a very observant and empathetic child who loves preschool, playgrounds, art projects and musical instruments. Her favorite animal is the bear, and she has amassed quite a stuffed animal collection to include Teddy and Bob who used to belong to my brother and me. Paige still has social anxieties and feeding goals to accomplish, but she’s come a long way. To see her at first glance, you might not suspect all that she has survived and achieved in her short life. If you look and listen a little closer, you might notice the scar on her neck or see the bump underneath her shirt where her G-tube button is located. Maybe you would hear the stridor when she breathes, but I only see this beautiful little being with an infectious laugh that began under such extreme circumstances and has grown into a complete little girl. Paige was born by emergency C-section at 27 weeks on January 19, 2013 because I developed preeclampsia. She weighed 1 lb 6 oz and measured 12 inches long, and she spent 318 days in the NICUs of two different hospitals where she was diagnosed with multiple airway problems, BPD and GERD. 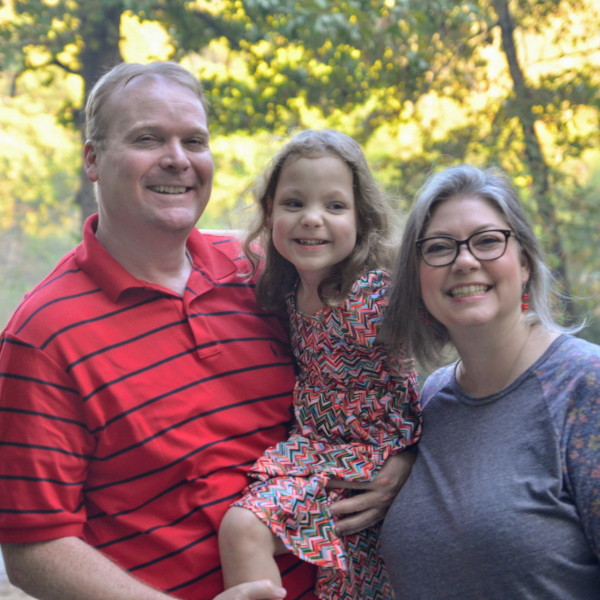 At age 5 months, she endured both a tracheostomy and a gastrostomy procedure, which allowed her to begin growing and healing. At age 7 months, the doctors began talking about possibly taking her home, and just that quickly, we almost lost her. She coded for 15 minutes then again two days later for 40 minutes. She was diagnosed with Pulmonary Hypertension, and at age 10.5 months, Paige came home. The tracheostomy was successfully removed almost exactly 3 years later, and she hasn’t stopped talking! I remember the NICU doctor originally asked if we had a name picked for our daughter, and I reacted, “Yes! We just agreed this week! Her name is Virginia Paige Gibbs.” The doctor replied, “That is a very strong name for such a little girl.” Paige continues to teach us life lessons everyday and reminds us not to take these precious moments for granted.